James Dunn will never forget the moment he was inspired to transform his life. The 28-year-old teaching assistant was on a staff day out at British theme park Alton Towers when his size made it impossible for him to be harnessed safely on a ride, reports the Liverpool Echo. Since then James has worked his arse off to shed a massive 17 stone, ditching convenience foods, sugary snacks, and takeaways in the process. We had a big staff day out at Alton Towers, and I tried to get on a ride and the bar wouldn’t fasten. Two people tried to help fasten it but it wouldn’t and they said I was going to have to get off. It was mortifying, it was so embarrassing. There was tons of people watching and I just couldn’t ever face going back again. I’d always skip breakfast, and then for lunch I’d have pasties, sausage rolls, white bread and I’d drink sugary drinks. Then about four times a week I’d have takeaways, I’d eat whatever was convenient, and it would always be in huge portions that just weren’t normal. I’d eat pizzas, Chinese, Indian, but not a portion that a normal person would eat. They’d always be massive portions. 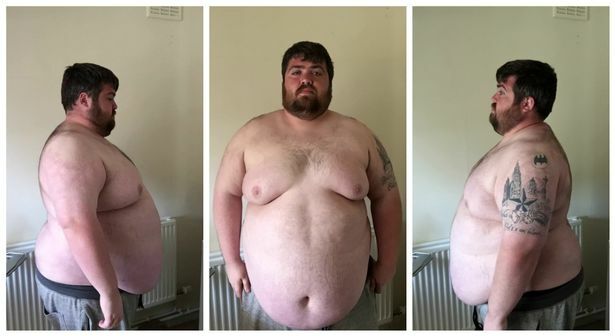 James’s transformation journey was kick-started by his selection to star on Channel 4 show Make My Body Better, where he was set the challenge of reaching a weight of 17 stone in order to compete in a horse race. The show did aid his weight-loss in supporting him through given gastric sleeve surgery, to remove around three quarters of his stomach – and while that did help him shift a significant amount of weight, James has had to work hard in the gym to increase his fitness. I don’t want to tell people to get fat and then go out and get weight-loss surgery. It’s not about that, because prevention is definitely better than cure. I’d always been overweight even as a child and I think the best way to combat it is to tackle it while you’re young. We need to educate them at a young age. 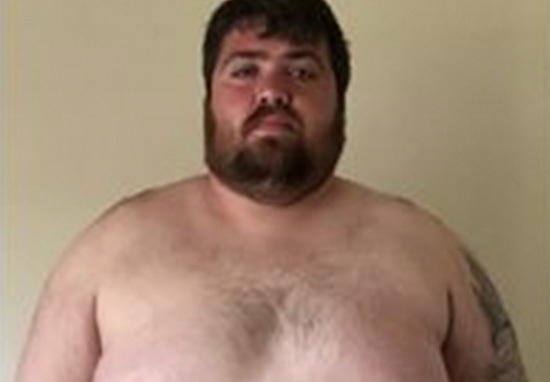 Now weighing 14 stone 5lbs, James is hoping to use his experience to educate children about making healthy choices and avoiding the lifestyle he has now left behind.